This range includes various types of leaf filters and guards to prevent your gutters from becoming blocked. Leaves, twigs, dirt and debris in any gutter system can be destructive, and prevention is better than cure. Think about it this way. Every piece of natural debris that finds its way in to your gutters will eventually end up in your drainage system. If you are lucky it will flow through the drains and into the public sewer system, but more realistically the likelihood is that some part of this effluent will nestle in your drains, causing a potential blockage. 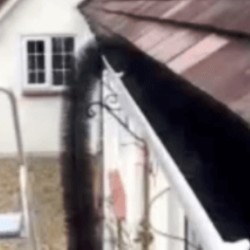 If the debris is too big to flow down the rainwater pipe and into the drains it will start to block up the gutter, causing eventual overflow with potential to damage your foundations. By installing one (or a combination of) of our gutter protection products you are preserving the long term usefulness of the whole system. Like all such products you will need to maintain them with a quick clean once a year but this will undoubtedly extend the life of your gutters. Options include Gutterbrush and Floguard, both of which prevent the leaves from entering the gutter system, and leaf guards which sit deep inside the gutter and prevent the leaves from entering the rainwater pipe system. 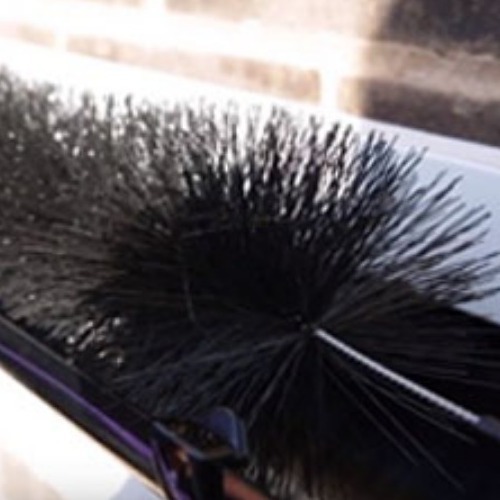 Gutterbrush sits inside the gutter whereas Floguard sits on top it. Balloon leaf guards sit inside the neck fo the downpipe. Our PVC Eaves protection systems include felt replacements, bird combs for preventing bird ingress into the roof and over fascia vents. Remember to always follow safe working practises when working at height to install these products. Want some advice on how to install your eaves protection, or interested in finding out more about our product range, take a look at our guides & tips. Why Is My Old Fascia Damp And Rotten? How Much Soffit Do I Need? What Is A Soffit Board? How Many Soffit Vents Do I Need? When Should I Use Vented Soffit?